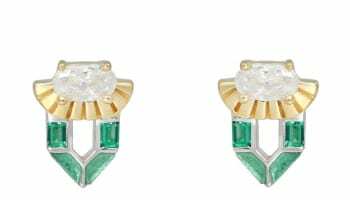 British fashion brand SVP Jewellery has announced a collaboration with fashion and lifestyle influencer Erica Davies. 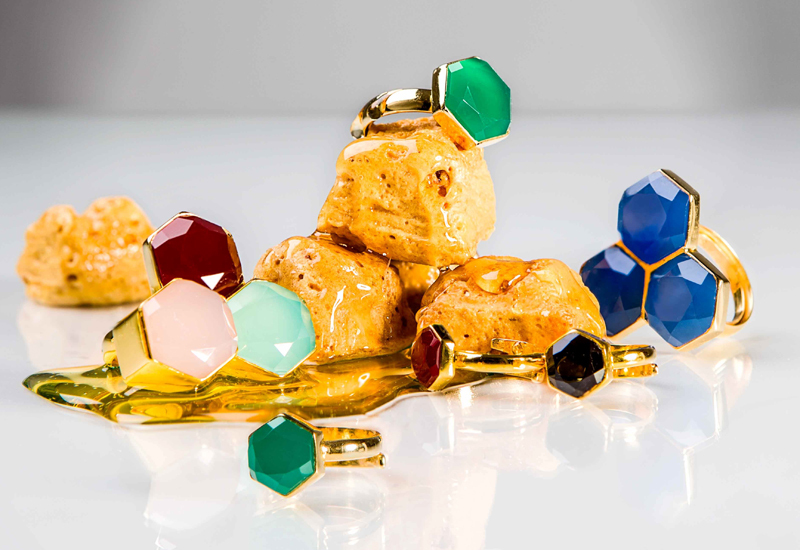 Erica Davies has been a huge support and fan of SVP Jewellery and its adjustable rings adorned with semi precious stones from the very beginning, so the collaboration came as an organic next step for the brand’s relationship with the influencer. The capsule collaborative collection has has been created as an ode to Erica’s family, with each individual ring named after her loved ones. The range features four adjustable rings that have been handcrafted using slices of gemstones crafted on an 18 carat gold vermeil adjustable band. The Evangeline ring named after Erica’s grandmother is the largest at 16mm x 16mm and uses blue sunstone, a crystal to bring power and protection. This stone is also said to help attract fame and success. The Lila ring named after Erica’s daughter uses a slice of 12mm x 12mm malachite. Malachite is known as the transformation stone; it has protective and supportive energies that stimulate clear thinking and wellness. 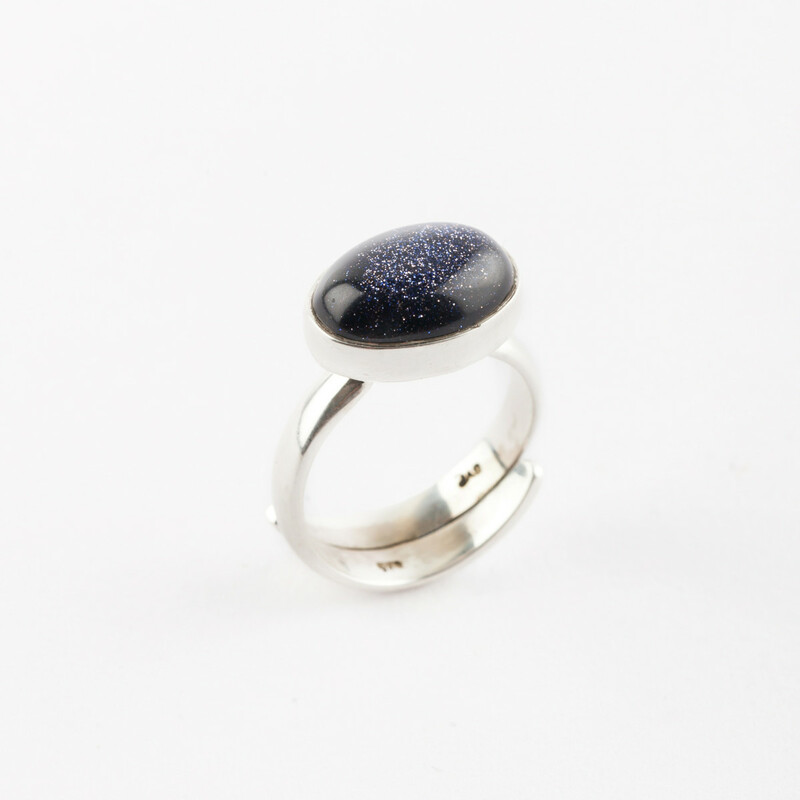 Jennifer, a ring named after Erica’s mum, has been set with an 8mm x 8mm slice of white striped black agate. This stone is for self-control and gives resilience and quiet power, as well as giving peace and keeping anxiety at bay. Lastly, the Charlie ring is named after Erica’s son set with a 6mm x 6mm rainbow moonstone charm. Rainbow moonstone is used for the healing of the heart and balance. It’s good for meditation and if you are at a crossroads in your life, this stone can show you the way. The collection goes live on October 20.